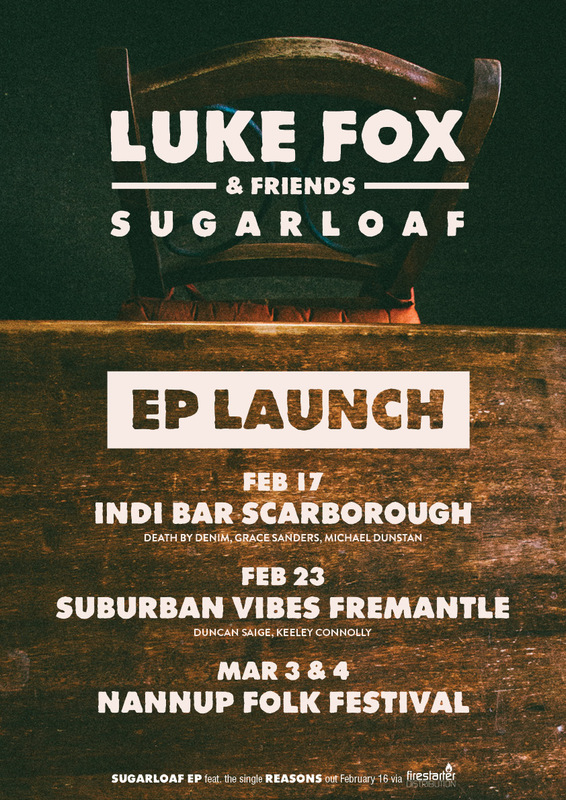 Following on from last year’s well received taster track Fly in the Champagne, Luke Fox is set for a busy 2018 with the release of his debut EP ‘Sugarloaf‘, a carefully crafted six song offering spearheaded by new single ‘Reasons‘. Luke Fox delivers an honest, laid-back swagger deriving from his regional small town upbringing. His sunny disposition, breezy feels and distinctive vocal tones are definitively Western Australian…warm and inviting. These feel-good ways have been met with immediate interest; taking out Unearthed’s Groovin’ The Moo competition, scoring national airplay and global surf syncs, while supporting good pals Abbe May, Lime Cordiale and Riley Pearce. Recorded by Matt Gio (Birds of Tokyo, San Cisco) and mastered by Willy Bowden (Gotye, Paul Dempsey), The Sugarloaf EP has received just the right production, accentuating Luke’s relatable and thoughtful music. Born from Gen Y dilemmas, Sugarloaf is a tribute to home, to authenticity and to the ironic problem of feeling lost when able to have everything. Backed by a talented studio and live ensemble, this is not your typical solo expedition. Luke Fox & Friends are an energetic and positively charming display; the perfect balance between serious musicians and fun loving mates.